You can succeed at Chainsaw Carving. In this project , Master Carver Burt Fleming takes you step by step through the process of carving a face. 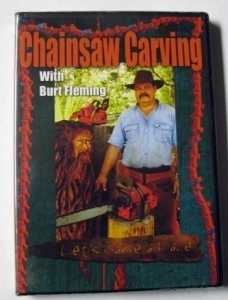 From choosing the wood to preserving your finished piece, you'll learn how it's done.This project is intended for intermediate to advanced carvers and uses a chainsaw and various small power and hand tools.